/What to do after hair transplant? More and more people who are faced mainly with a hair loss opt for a surgical option or a hair transplant. This option is not new and, although the techniques to carry out this type of intervention have improved a lot, to this day we could say that they are not highly popular due to the high cost of this service. Recently Turkey has become tremendously popular in the medical sector of hair grafts due to its low price reaching over 10,000 patients per year. The low-cost hair transplant trips to Istanbul provide Turkey with revenues of more than 120 million euros per year distributed among the 250 clinics dedicated to these interventions. The problem is that when the person who has undergone this intervention returns to his/her country of origin without any guidelines on how to maintain or follow up after this type of procedure. In fact, there are many cases that we have found in which the person who has performed the graft is totally uninformed is left unaware of the consequences, and therefore, does not know what to do once he/she is back home. In addition, in many cases, It is made believed ?that the hair will not fall back. 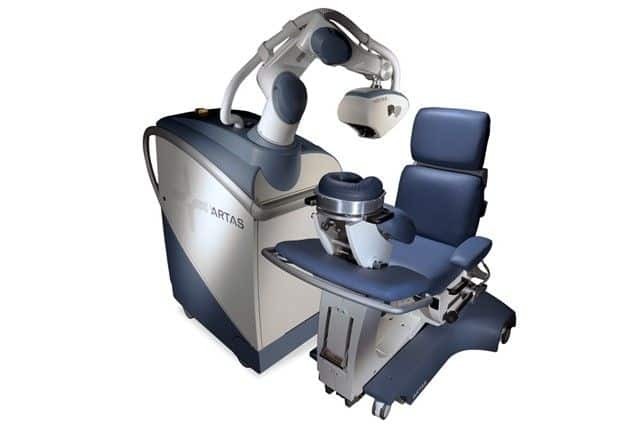 To clarify this, we will start from the beginning: In this type of interventions, the hair donor is the same patient, the extraction of the follicles is done through a robotic process (ARTAS) in the occipital area (nape) and the maximum amount extract ranges between 3,000 and 5,000 follicles, it is not recommended to extract more at once in case a second graft must be done, and specially if ?there is not an appreciable depopulation of the donor area. Once the extraction is done, the implant is carried out in the depopulated area, this intervention usually lasts an average of 6 hours and once completed, the patient can return home. So far everything is correct as long as there have not been any complications, but, is everything over here? I?m not going to have to do any maintenance? Well, the average hair that a person has is between 100,000 and 150,000 and the person who has undergone a graft has received 5,000 follicles from an area not affected by DHT, that is, from a healthy area, but What about the other thousands of hairs that the patient has? Are they never going to fall? 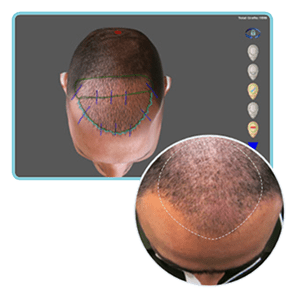 Normally, the person who gets a hair graft suffers from what is known as Androgenic Alopecia (Pattern hair loss) and, although the graft option is more than valid, this does not mean that the problem has disappeared. People who have undergone or plan to undergo a capillary graft should know that after the mentioned intervention, they must follow specific guidelines and perform a maintenance, whether it is controlled by the dermatologist, the trichologist, or the relevant specialist. There are several alternatives in the market, but in our line of SIMONE TRICHOLOGY hair treatments we have a treatment indicated for topical use after capillary grafting, it is SCIENCE CONTROL HAIR LOSS, a hair growth enhancer specially developed for after capillary graft. Acts on a minimal possibility of capillary activity, its intense and profound action is given by the revitalizers added in its formulation that act on the entire area of the hair root, including the piloerector hair system. 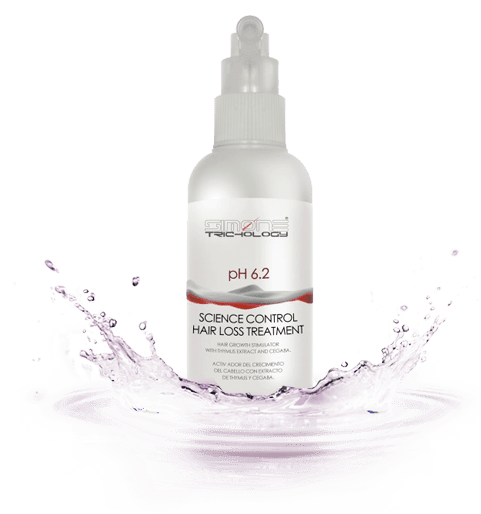 SIMONE TRICHOLOGY SCIENCE CONTROL HAIR LOSS TREATMENT is made with the latest advances in hair research, includes in its formulation a high protein complex, vitamins of groups b, e and h, enzymes and amino acids with the latest activators revitalizing and energizing hair. Another of the impressive assets contained in SCIENCE CONTROL HAIR LOSS TREATMENT is the CEGABA that, thanks to its activity as a growth factor, is capable of (scientifically proven) stopping and reversing hair loss being up to 50 times more effective than Minoxidil. In addition, unlike MINOXIDIL, the topical formulation with CEGABA is well tolerated and does not produce adverse skin reactions, such as itching, erythema, peeling, hypertrichosis, stinging, pruritus, eczema and hair loss, typical of prolonged use of MINOXIDIL. ← Seasonal Hair Loss: Reality or Myth?